MSC Cruises which is one of the cruise industries fastest growing cruise lines has launched a brand new app that is now available on the App Store and Google Play. The App is free to download and expands MSC Cruises in North America. Its packed with easy to use functions, tips and information, from finding the perfect itinerary and shore excursions to 360 degree virtual ship tours in which users can view actual staterooms, restaurants, lounges, pool decks, the theatre and spa. Users will also be able to browse through all the ships in fleet and view web cams from onboard. The destinations are also featured along with tracking a favorite ship. Itineraries can be viewed of all the MSC vessels and get the latest cruise deals. 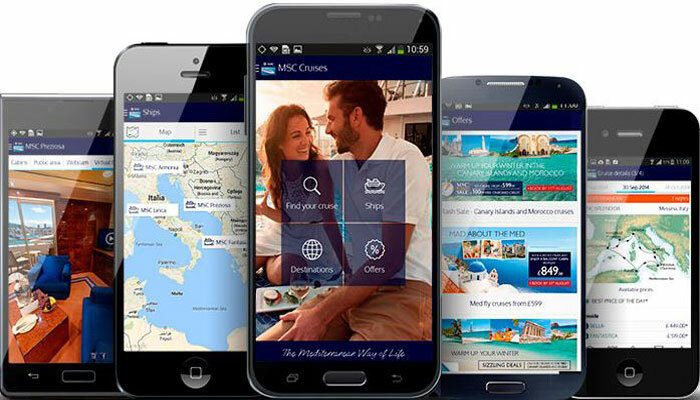 The launch of the MSC Cruises’ App is the first phase of a strategic effort by MSC to enhance the overall user experience. Throughout the year, MSC will introduce improved consumer and travel agent platforms, ultimately resulting in more consumers engaging with MSC and exploring the line’s diverse cruise offerings and travel agents having the tools to better sell and promote MSC.